Prescription drug prices have topped news headlines a great deal over the past few months. The costs of cancer drugs alone can exceed $100,000 a year, and recent Congressional hearings exposed the greed surrounding certain AIDS drugs manufacturers. 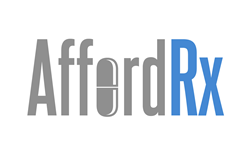 AffordRx.com is a new site that allows patients to compare medication pricing at their local pharmacies enabling consumers to save up to 75% on the costs of their medication. Prescription drug prices have topped news headlines a great deal over the past few months. With drug companies driving up prices in complicated ways, consumers can expect to pay a great deal out-of-pocket at the pharmacy; and this is especially true for patients who have little or no drug coverage. The scandal involving Turing Pharmaceuticals and founder, Martin Shkreli, spotlighted the exorbitant costs of drugs used to treat toxoplasmosis ─ a condition of infection by a parasite, often associated with those suffering from the effects of AIDS. Anyone may print a Sulfamethoxazole and Trimethoprim coupon, saving up to 75% on the cost of this prescription at the pharmacy. Currently under federal investigation, Valeant Pharmaceuticals recently raised the prices on two drugs used to treat congestive heart failure (CHF) and bradycardia (abnormally slow heartrate). Both conditions are relatively common ailments in the United States, with an estimated 5.1 million diagnosed cases of CHF alone. Patients can save on out-of-pocket costs by printing a free Nitropress coupon, or an Isuprel discount card. Other drugs, like those used to treat Hepatitis C, can be just as expensive ─ with price tags as high as $1000 a pill. And cancer treatments are well known to drive consumers and their families into financial ruin. Customers need all the help they can get to save money on drugs, as there is no sign of financial relief from the pharmaceutical industry anytime soon. Patients may freely print out a Sovaldi coupon, Herceptin discount card or a Gleevec coupon to save money at the pharmacy. The only good news about prescription drug costs is that the majority of drugs sold in the United States are generics. Name brand drugs are far costlier, and more consumers each year switch to generic options as soon as drug patents allow such generics to be produced. AffordRx.com’s discount card is specifically designed to be used with generic drug options, potentially saving customers thousands of dollars in the long term.